SAN FRANCISCO (Herald de Paris) - Linda Ronstadt is an iconic international singer. Her many vocal styles, in a variety of genres, have resonated with the general public over the course of her four decade career. As a result, she has earned multiple Grammy awards, two Academy of Country Music awards, an Emmy award, and an ALMA award. Her numerous United States and internationally certified gold, platinum and multiplatinum albums have included a Tony Award and Golden Globe nominations. In total she has released over thirty solo albums and more than fifteen compilations or greatest hits albums. 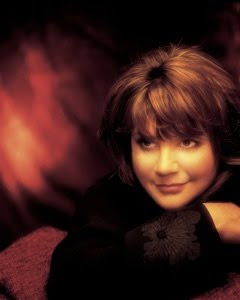 Ronstadt has charted thirty-eight Billboard Hot 100 singles, twenty-one of which have reached the Top 40, ten have reached the Top 10, and three peaking at No. 2. Her number 1 hit was ”You’re No Good.” In addition she has charted thirty-six albums, ten Top 10 albums, and three Number 1 albums on the Billboard 200 Pop Album charts.